Yes! The best just got better! OnePlus, a Chinese firm, took the smartphone market by storm when it started producing high end smartphones with a very nominal price tag. 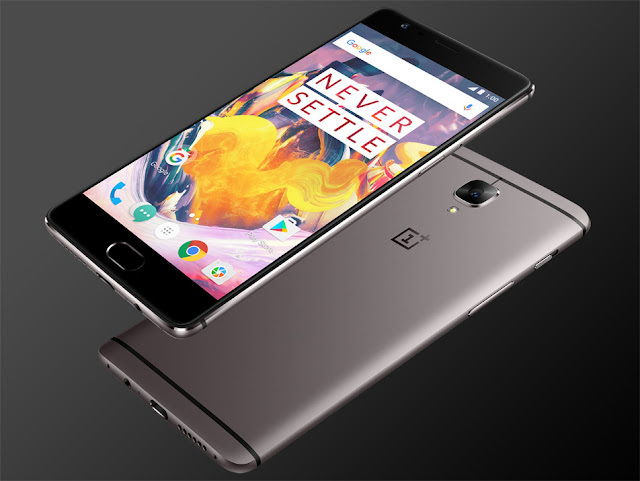 It literally shook the contemporary flagships of 2016, with its OnePlus 3 smartphone. Packed with high end specs, OnePlus succeeded in producing a phone that offered better performance than several flagships at about half their price. Well not for long! 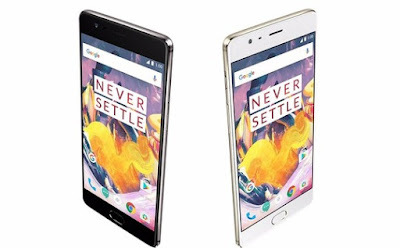 True to its "Never Settle" motto, the firm introduced the OnePlus 3T, a revamp of the OnePlus 3, almost similar in design but with a better processor, better front camera, larger battery at a very small increase in price. 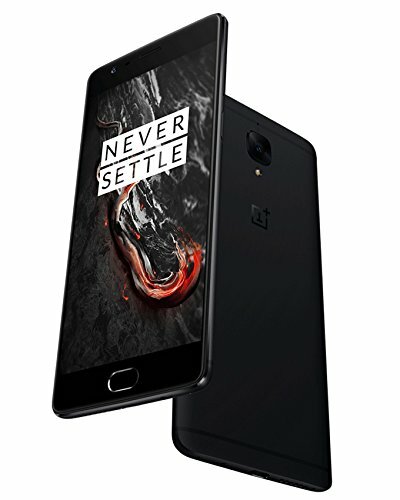 OnePlus has improved its processor, front camera given a larger battery in the 3T, to offer even more for those who just dont want to settle! Design: Both the smartphones feature a similar design: 152.7 x 74.7 x 7.35 mm and weigh 158 grams. However the OnePlus 3T offers new choices for the phone colour. It comes in Soft Gold or Gunmetal finish colour combination. The Gunmetal colour has replaced the Graphite finish of its predecessor and this new shade looks a little darker, but no less gorgeous than the previous one. However the 128 GB model comes only with the Gunmetal finish combination. Hardware: It comes out with 6 GB RAM, same as that of its predecessor but stocks it up with Qualcomm Snapdragon 821 processor which is about 10% faster than the 820 version (We will delve into more details in the performance segment of the OnePlus 3T Review). Camera: OnePlus 3T and OnePlus 3 have the same rear camera but the it has now packed the front camera with a Samsung 16 MP shooter. 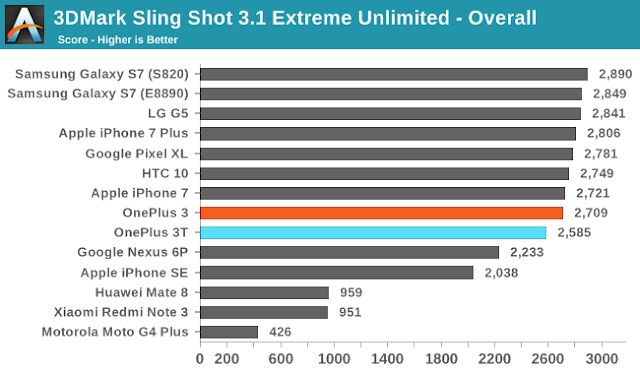 OnePlus also boasts its latest flagship to have several software improvements for better low light shots. Battery: OnePlus 3T features a 3400 mAh battery, compared to 3000 mAh in OnePlus 3. Storage: 3T is available in two models with 64 GB and 128 GB internal storage. The design of the 3T is much similar to its predecessor. Made out of premium space grade aluminium allow, OnePlus 3T's sleek metal body at 7.35 mm width can be used with extreme comfort and ease. There is the alert slider (featured first, in OnePlus 3) and the volume controller on the left side of the phone and the power button on the right. The alert slider helps to switch between your notification profiles - a rather useful feature! The fingerprint sensor is located on the front of the phone and it also functions as the home button. 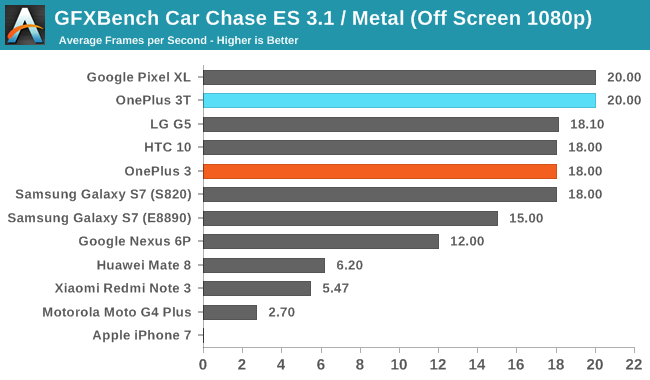 It's speed is on par with the fingerprint sensors of several flagship smartphones like the Huawei P9. However, it can not recognize your fingerprint if your hand is wet. The recent and back capacitive keys of the phone are located on either side of the home button. They do not have their icons, but just show a lit dot as you can change their positions in the settings menu of your phone. The button set up in this phone is open for customisation. You can choose whether or not you want the Android On-Screen Navigation on your display. Also the shortcut options for the double-press and hold inputs can be changed as per your choice. The rear camera of the OnePlus 3T is contained in stainless steel and shielded by a layer of sapphire glass for protection against unexpected falls and scratches. Apart from that, the OnePlus 3T bottom has a neatly arranged 3.5 mm headphone jack and a speaker grille. The OnePlus 3T supports dual-sim, which is a very important feature nowadays as you would need a separate phone for another SIM card. OnePlus 3T's display is no different to its predecessor. It packs a Full HD display in a rather large screen. Nowadays, several high end flagships pack their phone with QHD or 4K display. Though a Full-HD display will not trouble the user at all in regular everyday use but higher resolution display is recommended if you are planning to get your phone to play VR. OnePlus 3T display offers a stable amount of brightness, sufficient for outdoor use. It uses Optic AMOLED Display which is basically, OnePlus' own tweak to the AMOLED Display. As with all AMOLED displays, it offers truest black colour as the individual pixels shut off, emitting "0" light. Also the AMOLED display contrast ratio is theoretically infinite, but practically reflection from other light sources cause the contrast ratio to achieve a finite number. OnePlus 3's launch soon saw complains of unnatural colour calibration. However OnePlus took care of those complaints by releasing software updates to fix the problem. Though some find the colours of OnePlus 3T to be a little oversaturated, OnePlus 3 lets you customize the sRGB calibration and colour temperature to better-suit the phone display according to your choice. OnePlus 3T also features a Night Mode, which reduces the blue light in the phone display, which causes less strain in your eyes when you use your phone in the dark. There is also an Ambient Display and a Proximity Display feature which can be switched on or off- whichever you want. The Ambient Display switches on the phone display using very low power whenever a notification comes along and the Proximity Display turns on the display whenever you wave your hand over the camera. OnePlus 3T features the latest and the most refined OxygenOS software(3.5.1) which is based on Android Marshmallow out of the box. However now there is a Nougat update available for both the OnePlus 3 and 3T along with Oxygen 4.0 OS and we get to that after addressing the Oxygen 3.5.1 OS. The thing about OxygenOS is that it has the feel of original Android skin while providing you with a lot of customizability options. You can customise the design of the home page, gestures for opening different apps or settings. For example, drawing a circle on the display will open the camera app and swiping with three fingers will let you take a screenshot. You can even alter the design, shape and size of the icons or just let them look like that of Stock Android. Adding to that, OnePlus 3T's software features "Shelf"- you can access it by swiping your finger right on the home screen (You can turn it off if you don't want it). It houses your recent contacts apps and a management centre showing your storage, net usage and available memory. Most of the changes in OxygenOS 3.5.1 are purely aesthetic; the colour scheme in many core Android apps have been changed. Messenger has been renamed to Messages and has some layout and colour tweaks. A new weather app has been added to the OnePlus 3T but it crashes if you deny it of any permission that it asks for. OnePlus 3T also provides a voice recording app which suffers from the same problem as the Weather app. 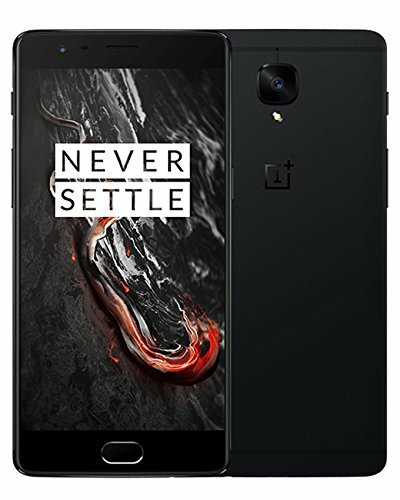 OnePlus 3T runs on Qualcomm Snapdragon 821 processor, same as that of the Google Pixel smartphone. Combined with that is a whooping 6 GB RAM, and you can rest assured that this smartphone isn't going to lag for days to come no matter how demanding be the stuff you plan to do on the phone. 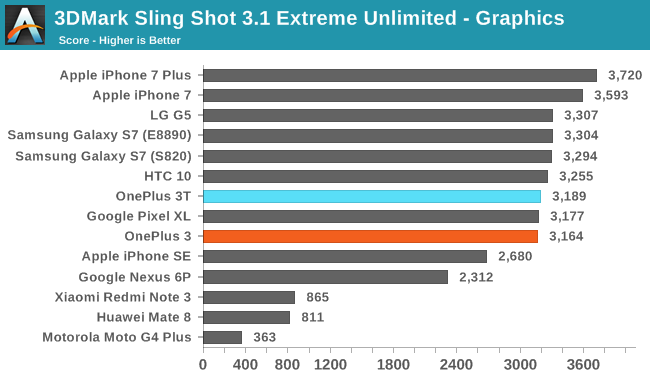 The Snapdragon 821 isn't a very big change compared to the 820 model. The change that this processor features is that 2 of its cores have been improved from 2.15 GHz clock speed to 2.35 GHz clock speed resulting in 10% more power according to Qualcomm. The other two cores run with a clock speed of 1.6 GHz. 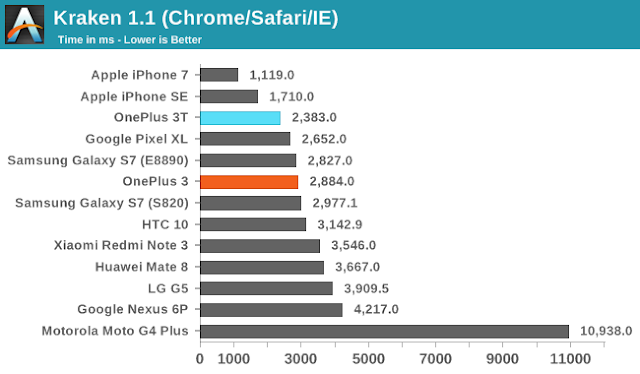 When put for bench-marking, the OnePlus 3T managed a score of 1853 (just a fragment above Samsung Galaxy's 1848) and 4256, a little above the Google Pixel XL in Geekbench 4 Single Core and multi-core test. However the OnePlus 3T scored much less than the 5841 multi core test score of the Galaxy S7. 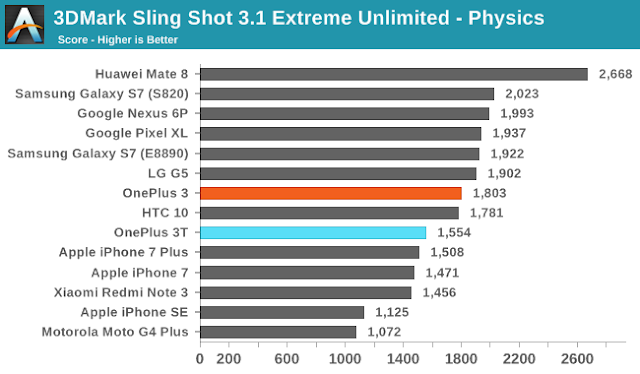 Still, OnePlus 3T scored much better(163181) than the expensive Moto Z(130550) when pitted in Antutu Benchmark test and 3DMark Slingshot Test(2646 vs Moto Z's 2121). Although Benchmark scores are not very accurate measures of performance nowadays, but the OnePlus 3T is very snappy and extremely responsive. However point to be noted is that the Pixel and the Samsung Galaxy S7 fingerprint sensor seemed to have a much faster response time compared to the OnePlus 3T. OnePlus has also released an update for a system file algorithm that will decrease the load time of apps considerably. Marvel Contest of Champions starts almost immediately and drop in frame rates in the game is now a thing of the past with OnePlus 3T combined with the update. The Call quality, microphone and speaker of the 3T is good enough and it is highly unlikely that you will encounter a problem with the phone. Also, the loud speaker of the OnePlus 3T delivers a high volume which is a key improvement compared to the OnePlus 3. But the sound quality starts to falter when the volume is near max. Here are several benchmark tests of the OnePlus 3T. Even though benchmarks are losing their accuracy nowadays, they still are quite accurate, though not as much as they were previously. So if you want, you can go through the benchmarks here, otherwise just skip through to the next section. OnePlus 3T comes out in two different internal storage options. One is of 64 GB while the other is of 128 GB. The model with 128 GB internal storage comes out in only Gunmetal finish colour and is Rs 5000 more expensive than the 64 GB model. This price spike is quite low when you pit the price difference of other flagship smartphones when it comes to internal storage options. However the OnePlus 3T offers no external storage option through a MicroSD card. Still, unless you are an avid downloader of games, movies or videos on your mobile phone, 64 GB seems more than sufficient. If 64 GB isn't enough for you, free cloud storage like that offered by Dropbox and Google Drive may be a good second choice for you if you have a fast and unlimited data pack. The rear camera of the OnePlus 3T is the same as that of its predecessor- Sony IMX 298 16-megapixel, with individual pixel size of 1.12 micrometre. 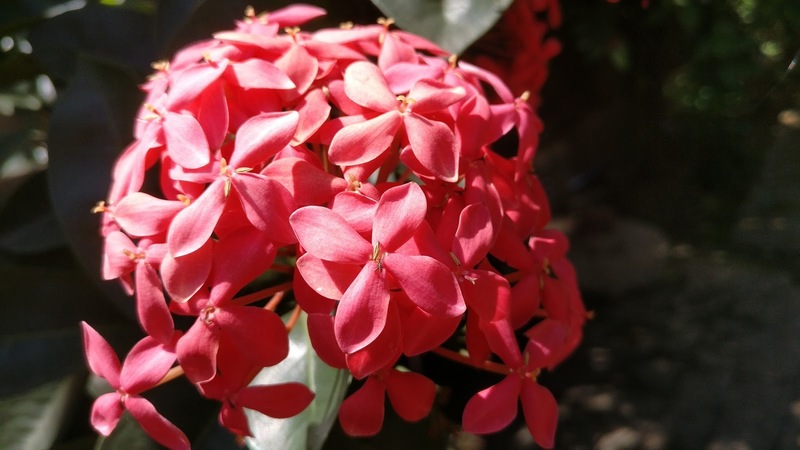 It is combined with a lens of f/2.0 focal aperture. It supports phase detection auto focus with OIS (Optical Image Stabilisation). 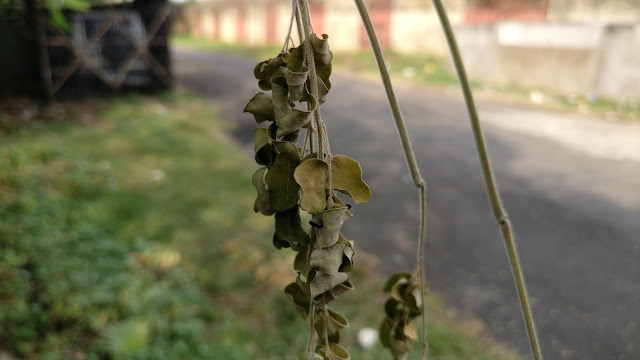 Though the rear camera is the same in OnePlus 3T, its shots are significantly better because of several software patches in the phone. 3T also adds a new EIS (Electronic Image Stabilization), which significantly lessens the shakiness present while shooting video with the OnePlus 3. OnePlus 3T can shoot videos up to 4K at 30 fps. OnePlus 3T also features several software modifications that lessens the noise while taking pictures and has returned back its user Auto HDR mode. There is hardly any shutter lag while you take pictures with the OnePlus 3T, thanks to its 6GB RAM. 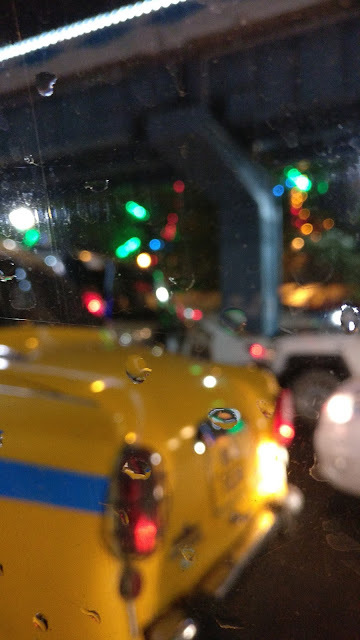 Though the OnePlus 3T's camera lens features a small aperture, resulting in mediocre low light performance, the OIS helps improve low light shots(not much though). Also the ISO becomes noisier in low light due to the pixel size of the phone. OnePlus 3T has improved on its front camera, by opting for a 16 MP camera with a Samsung 3PDSP sensor. The new front camera helps in better, crisp and more detailed shots in well-lit places and performs much better than its predecessor when taking pictures in low-light. OnePlus provides you with several manual controls like choosing the shutter speed, white balance, ISO etc in your phone camera app. You can also post-process the camera shots if you don't want the phone software to do it. As for video recording, OnePlus 3T has certainly improved. It supports Full HD recording at 60 FPS and 4K(Ultra HD) recording at 30 FPS. The camera lens and the new software perfectly adapts itself to sudden changes in light. OnePlus 3T has improved on its battery life by providing a 3400 mAh battery pack compared to the 3000 mAh battery of its predecessor. What's innovative is that OnePlus added this extra 400 mAh power crunch without any increase in the battery size. For those people who use their phone a lot, OnePlus 3's 3000 mAh power pack may have seemed a little insufficient to go through the day but now they are less likely to face this issue. 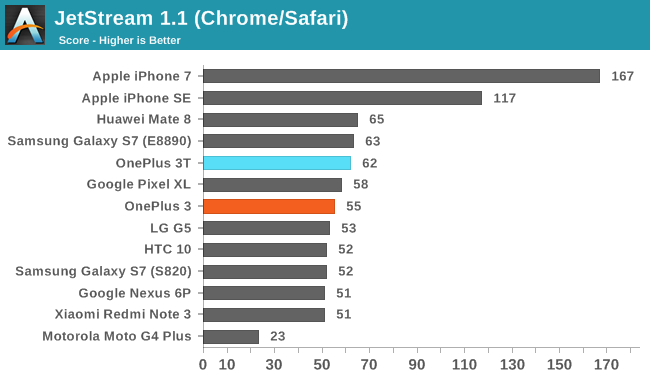 Also, adding to it that the OnePlus 3T doesn't use a QHD display and the Qualcomm Snapdragon 821 processor is more power efficient than its predecessor, you shalln't have to think about the phone's battery throughout the day. On the off chance, that the phone battery drops, it isn't a cause for concern either. OnePlus 3T uses the Dash Charge, OnePlus' own quick charging technology, which according to OnePlus provides your phone with a day's power in half-an-hour. Dash Charge powers your phone in the same speed even when you use it for CPU and graphic intensive tasks like playing games or streaming movies. Dash Charge can be used only with OnePlus Dash Charge USB Wall Adaptor and OnePlus USB-C cable. The Dash Charge tech increases the current input in your phone rather than increasing the voltage, resulting in negligible decrease in charge speed. Also, OnePlus' cable and wall adapter's power management, doesn't let your phone heat up while charging. So all in all, Dash Charge provides fastest charging than any other smartphone charger out, with very low heat generation. With the OnePlus 3T, charging your phone through the night is a thing of the past! OnePlus 3T is the best phone by OnePlus yet. 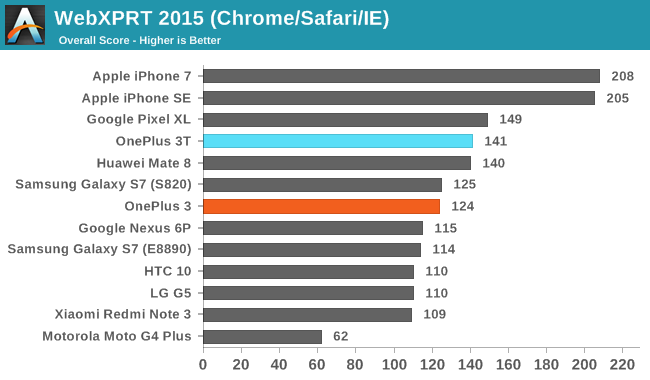 It is also the best-value-for-money phone and is on par with the Samsung Galaxy S7. 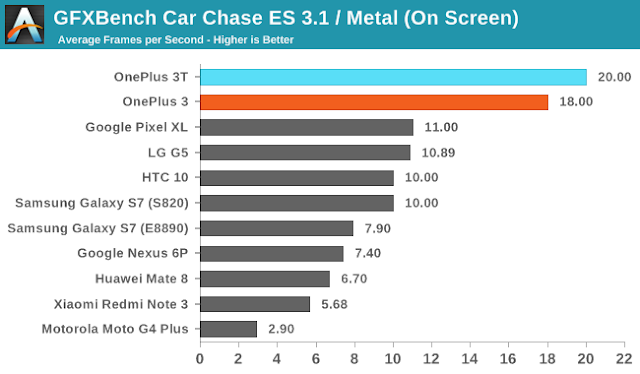 It has corrected the shortcomings of OnePlus 3, improved on the strengths of the OnePlus 3, an example of which is the introduction of the new processor and providing even more battery power. With a fantastic performance and design, good display and a great camera, all of that packed in a pocket-friendly price, OnePlus 3T isn't going to disappoint you for sure! If you liked this article, be sure to G+1 and Share! Have some more info to share or some thoughts about this article? Put it down in the comments and I'll be sure to check it up! is there any confirmation about the Oneplus 5 flagship ? when 5T will hit the market ?